Daniele is from Italy, a land known for it's awesome food. Though he has lived in Santa Cruz de Tenerife, in the middle of the beautiful Canary Islands – Spain, since 2016. He loves the sun and beach (and of course the Pizza) to the same level as he loves his job: developing web-applications. 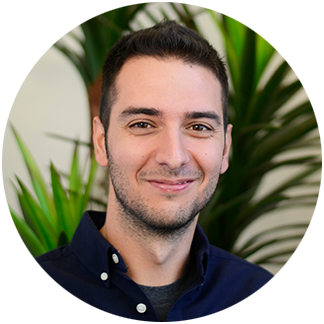 During his university career, Daniele worked on some small freelance projects with .NET, Java and PHP. Since then, he started focusing most on front-end technologies and responsive web frameworks. On a normal workday, Daniele is energized by a passion for coding (and by coffee). He loves solving problems and learning new things as well as working with teams. During his free time Daniele enjoys playing electric guitar and drums (especially metal music, despite not having the right hairdo), doing Crossfit, watching Netflix, and playing video games. He's also a certified lifeguard.